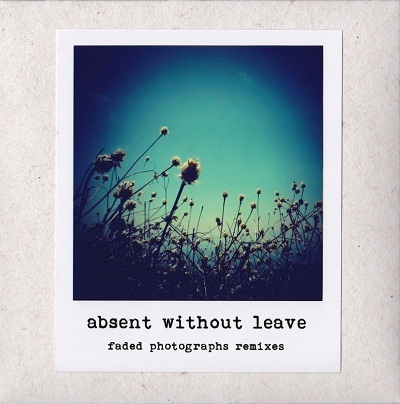 Absent Without Leave’s album was reviewed on CINYF! a while ago, and here comes another wave, resonating from this creation, with enchanting fractals of various interpretations to AWL’s music. This double album, packed with numerous remixes and realizations, offers more dimensions to the original music, all in the familiar code of aesthetics that was laid before by the interesting label ‘Sound in Silence’. There are 28 remixes in this double album, and together they create a cinematic panorama that travels calmly and smoothly between abstract sounds and more traditional forms of music. In my opinion, the greatest achievement of this compilation lies in the fact that the slow progression from one track to another is not boring at all. In fact, there grows a certain amount of curiosity as to the next remix and the next variation. I can compare this to a similar release, with about thirty remixes for one great song that I really like, and I simply cannot listen to more than two consecutive tracks on that remix compilation, as they turn to be boring adaptations to the certain theme. Over here, on the other hand, AWL managed to compile a beautiful collection of remixes that works wonderfully with each other. The result is, for lack of other words, quite easy on the ears, but that’s not a bad thing once the music itself draws some very touching and heart grasping pictures in your mind, once you listen to it.